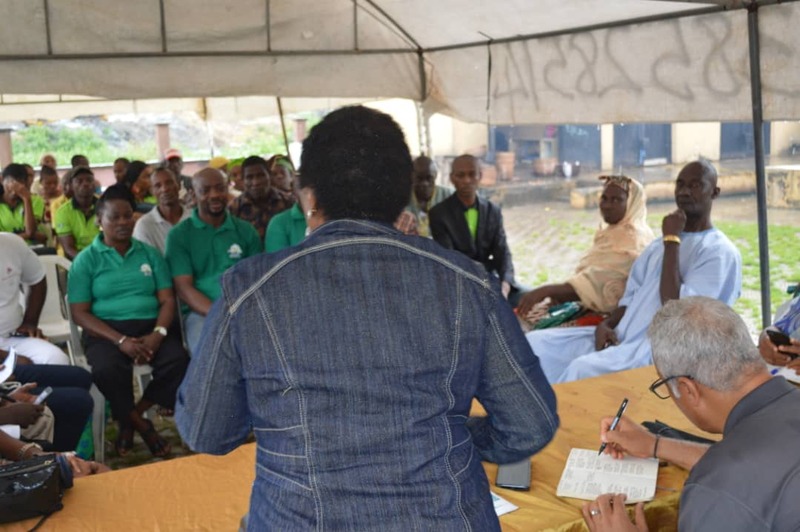 SPACES FOR CHANGE [S4C] hosted officials of Lagos State Resilience Office (LASRO) at a community townhall and focus group discussion aimed at informing improvements in the overall urban resilience for the city of Lagos. A year ago, Lagos State received its certificate of admission into the network of 100 Resilient Cities. With the recent appointment of a Chief Resilience Officer, Mr. Simon Gusah, Lagos State is poised to tackle the challenges threatening the city’s resilience ‘more proactively, inclusively, and holistically’. Without much ado, the newly-appointed CRO has set the ball rolling by beginning the process of engaging stakeholders, communities, independent experts and citizens, with a view to drawing up a comprehensive strategy that will shape the state’s resilience agenda. The focus group discussion, tagged, Unslumming Lagos; Evicting Poverty, Not Poor People’, was held on September 28, 2018, at SPACES FOR CHANGE’s Lagos office. The meeting brought together representatives of the media, non-governmental organizations, academia, members of Lagos informal communities and several officials of LASRO led by the Special Adviser to the Governor on Resilience, Dr. Mrs. Ibironke Sodeinde; the Chief Resilience Officer, Mr. Simon Gusah and the Deputy Chief Resilience Officer, Arc Gbolahan Oki. The discussion was the first-of-its-kind for LASRO since the appointment of the CRO. 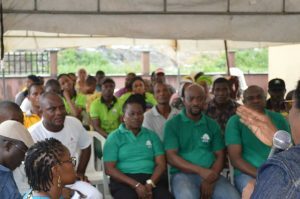 To provide a context for the discussion, SPACES FOR CHANGE coordinated a guided tour to waterfront communities in the Bariga, Somolu area of Lagos, to draw the attention of officials to some of the stresses and shocks faced by residents of low-income communities in the state. The representatives and residents of Isale-Eko, Ago-Egun, Ebute-Ilaje and CAD executives came out in their numbers to welcome the visiting delegation and take part in the community townhall with policy leaders. Residents of the area are mainly fishermen and women, involved in trading, fishing and engaged in other informal economic activities along the coastal corridor. 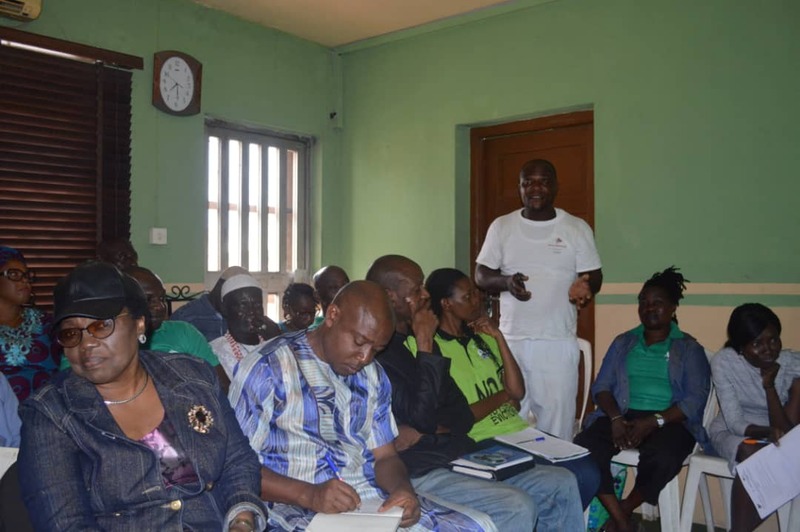 The residents are also members of the Communities Alliance Against Displacement (CAD), an informal network of informal settlements in Lagos working together to push for inclusive urban governance while demanding an end to forced displacement. The meeting afforded the local residents a rare opportunity to have a constructive dialogue with state officials and share the experiences and challenges affecting waterfront settlements. The challenges include a non-functioning fish smoking facility, blocked access to the fishing smoking facility due to sand-filling and jetty construction by the state government, dwindling income, youth unemployment, exclusion from decision-making, poor housing and living conditions and so forth. One thing that came out of the discussions is that the government’s urban development projects could trigger both positive and negative resilience impacts. Drawing out these distinctions, Mr. Gusah explained that both positive and negative resilience could emerge from the same set of circumstances and shocks. For instance, by sand-filling and building a jetty in the community, the Lagos State Government intended to improve water transportation facilities in the state, and in the process, expand access to the fishing markets in the waterfronts, which would in turn, create income and employment opportunities for both the fisher-folks and local residents. This is positive resilience. But in reality, the sand-filling and jetty construction activities blocked the entrance into the fish smoking facility, making it impossible for fishing boats carrying fish to berth directly at the facility. As a result, the fish-smoking facility has been abandoned, leading to loss of incomes and employment for the locals, especially the women. This is negative resilience. The Special Adviser to the Lagos State Government on Resilience, Mrs. Ibironke Sodeinde assured community members of the government’s commitment towards tackling the concerns that have been raised. Visiting the community to learn about these challenges forms part of a broader strategy to ensure that state actors understand the urban challenges residents are facing, and use that information to inform policy and program design. Commending the community members for their constructive participation, SPACES FOR CHANGE’s executive director, Ms. Victoria Ibezim-Ohaeri, urged communities not to relent in using dialogue and inter-community campaigning techniques to present their demands to the government. She also urged state government officials to, ‘listen more to citizens’ voices and demands as listening itself can be quite therapeutic’. Even though S4C provides technical and legal support to informal communities, the organization also empowers them to tell their own stories through active participation in policy and multi-stakeholder dialogues with a wide range of state and non-state actors. The field tour set the tone for the focus group discussion with urban stakeholders held at SPACES FOR CHANGE’s Lagos office. As the field tour demonstrated, slum dwellers are most vulnerable to the shocks and stresses of urban regeneration. More so, the tension between urban development policies and the livelihoods of the urban poor is a serious challenge that continues to haunt major cities. Whereas state policies affirm the government’s commitment to design an urban renewal agenda geared towards a sustainable urban future, the official actions and approaches often produce opposite results. This disconnect has not only resulted in more hardship but also responsible for the growth of more slums. Enlightening the audience about LASRO, Mr. Gusah explained that the aim of setting up the city’ resilient team is to transform and accelerate the city’s focus on resilience by developing and coordinating the implementation of a comprehensive resilience strategy that identifies viable solutions for tackling physical, social, environmental, and economic shocks and stresses, identified through a comprehensive, inclusive, and integrated development process. That is what the focus group discussion with stakeholders is set to do. He described urban resilience as the capacity of individuals, communities, institutions and businesses, and systems within a city to survive, adapt and grow regardless of chronic stresses and acute shocks they experience. 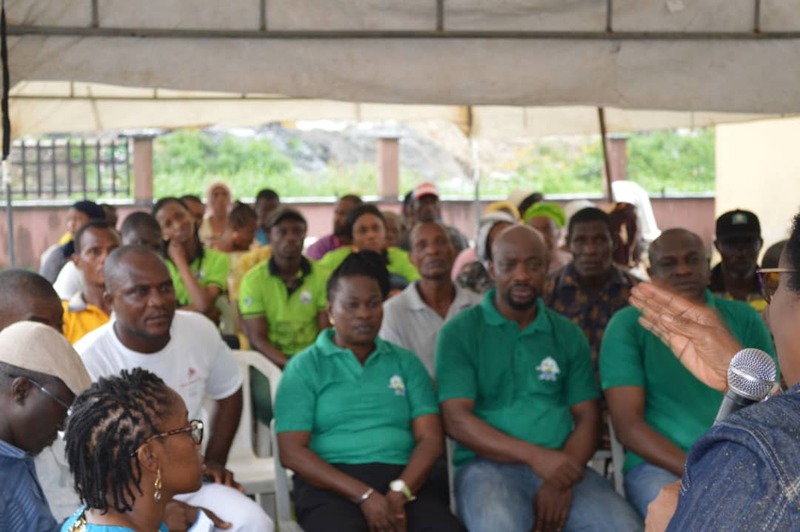 In order to gather broader perspectives regarding the city’s shocks and stresses, and understand how Lagos can perform better, the CRO asked stakeholders at the FGD to tell why they love Lagos, and how they are managing the stress of the city. Answers flowed in. Participants agreed that Lagos is indeed a melting point for all ethnic groups in the country and offers a thriving market for unconventional business ideas and other economic ventures. They however noted that stresses and shocks like traffic congestion, the absence of social infrastructures for informal communities, demolition raids, lack of electricity, insecurity, poor drainage systems amongst other challenges, stifle productivity and life in the city generally. Participants also revealed some of the actions they have taken to mitigate shocks, without the assistance of the government. Rasheed Lameed of Ifesowapo community informed participants how his community constructed a drainage channel to help mitigate the flood that afflicts the community during the rainy season. Mrs. Williams Olabisi, the Vice president of CAD, also shared the advocacy activities of CAD. Only recently the group launched an interest-free loan scheme that seeks to empower vulnerable women and inhabitants of low-income and displaced communities. Another participant, Dotun Akintomide, a reporter with the Punch Newspapers also highlighted the contributions of the Punch Newspapers toward improving the city. The media house frequently advocates for an improved city image by bring to fore, a continued reportage of the many concerns of the state. The focus group discussion afforded both government officials and citizens, an opportunity to think together and understand the importance of mapping out inclusive strategies and action plans that will drive, sustain and enhance the city’ resilience aspirations. Thinking together helps to allay fears and remove doubts in the minds of many who regard official policies with fear and suspicion. At the close of the programme, the Special Adviser to the Governor on Resilience, Ms. Ibironke Shodeinde thanked SPACES FOR CHANGE for facilitating the focus group discussion. She also thanked stakeholders for their commitment to the process of building a resilient Lagos. With all stakeholders working together to sustain the momentum, Lagos will retain its status as the center of excellence.